I mean – hello –what’s with people? Can’t you ever wake up to the possibility that a daughter can be her mother’s pet? Does it always have to be “oh she is a papa’s girl”? I know many real-life cases of mama’s girl & papa’s boy. Yet, why are people hell bent on the infuriating cliché – daddy’s girl? It’s easy to retort, “But why do you even care about what people say? They don’t know you”. Yeah right, exactly. They don’t know me. THAT is why. They don’t know the countless days & nights &, all the minutes in between, spent caring for a child - right from the 1st moment of her inception in your womb to Today. All those waking hours, the many sleepless nights, the infant’s dirty diapers, the toddler’s tantrums driving you nuts, the baby’s constant demand for attention, the no time whatsoever for oneself, the endless feeding & cleaning, the toilet training, the patient hours spent teaching the toddler to turn, see, walk, sleep, talk, listen, obey! How many of these things have really been ‘shared’ by the man? He should be doing these for his “daddy’s girl” on his own but doing them without being told would be asking for too much from a man. An occasional hour or two of, “I’ll take care of the baby, you go take bath (coz you stink like a skunk with a disease! )” or “I’ll feed the baby, you go eat (or you’ll drop dead any minute now! )” doesn’t count as raising a child. It’s lip-service. And to think that this lip-service warrants the exultations from the neighbors who go weak in the knees & exclaim, “Oh she looks just like her daddy” or “She’s so smart like her father”. Aaarrrrgggghhhh. OH MY GOD!! This is the article to share! I am posting this first to Suhas!! Share this on FB, I will share the link to my friends! @Sahana: haha thank you Sahana. this post was written more than a year back (may 2010) & when i read ur post, "Who does the baby look like"?, can you imagine my reaction! I thought I had read this before.Men do things rarely when it comes to kids,thats why they get noticed immediately and usually its women who do so.Since its given,a mother or wife does this everyday24/7,its taken for granted.Dont worry,even kids usually remember what someone has done once than what someone does day in and out.They only realise when they turn parents as to how great their mom was. On the one hand, the rant, in part, is about how unequally the workload is shared between the parents in bringing up a child; and on the other, you mention about the rather inane opinions of the neighbors, friends and others. Why make the insane attempt to compare these two? Aren't these two entirely different topics of discussion? It's just hilarious to see an attempt to compare 'using so many gallons of paint to color the house yellow' to 'my neighbors think it is blue'. It's wrong to assume they're related, and the neighbors, wrong, in calling it blue! Aaaaaaaahhhh, wokay! @suzaan: ya i know. imagine waiting for them to turn parents to realize that!! just kidding. but its true. its taken for granted that woman will do it & if the man as much as changes a diaper, people go, "ohhhh u changed a diaper!!!??" @Mishi: liked that "no one messes..." i immediately recalled ur FB snap & thot 'delicate darling' saying this! how sweet! @Anonymous: write your name when you post a comment & a link if you've a blog. its courtesy & blogging etiquette. I'm sorry to be back! My name, and only because it is expected from anyone courteous, is Kiran. I only have a Yahoo account and do not intend to put myself through all the hassles of creating an account on blogger for the sake of non-anonymity - should explain the anonymity. Besides, to avoid anonymous commenters, I found that you could - sign in to Dashboard; click on relevant blog; click on the SETTING tab; click COMMENTS; set Who can comment? to 'ONLY REGISTERED USERS'. @Kiran: that's all i wanted - your name. i don't want to "avoid" anonymous comments. they are welcome too as long as they write their name. btw, that tutorial was a complete waste of time & i must add, very rudely put in. i already know how to do it, thank you. i didnt enable it coz i know there are readers who dont have an account/blog & want to just drop in a line. This is getting way out of context and it only feels weird to have initiated it. I only thought the post sounded a bit like as if comparing apples and oranges. I could be wrong and I don't mind being corrected. I think, Oedipus and Electra complexes are at work . mother-son, father-daughter fixation are the rule rather than the exception . Sometimes, similarities are too pronounced ! 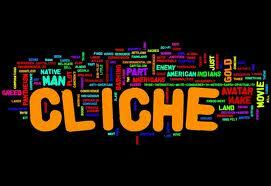 So these are no simple cliches rather these traits do exist and they stem from psychological reasons. A thought provoking post ! you know aarky this was written more than a year back when i was really really stressed with all the single-parenting i was doing & the frustration poured out. i am glad i vented it. I can understand. Single-parenting ca be very stressful. My wife , a cleanliness buff is irked by our disorderliness and keeps saying about our daughter- bilkul apne baap par gayi hai ! and that makes me all the more happy ! hahah it makes u happy!! !